This book will show you how to secure the Veterans' Preference eligibilities you have earned and rightly deserve. 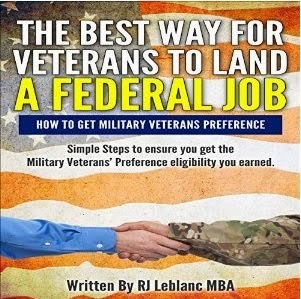 Whether you are about to be released from active duty, retired Military, or you have been out for a while, this book will help guide you through the Veterans' Preference eligibilities piece of the application process. This is information especially helpful if you separated from the Military a while ago.